Participants: 241 delegates (145 from Europe, 60 from the United States and Canada, 16 from Asia, seven from Latin America, and five from Africa). In addition, 146 official visitors from member churches attended, as did 125 visitors from non-member churches. Several participants from Eastern Europe took part, despite visa difficulties. Highlights: The Assembly met on the occasion of the 10th anniversary of the LWF. 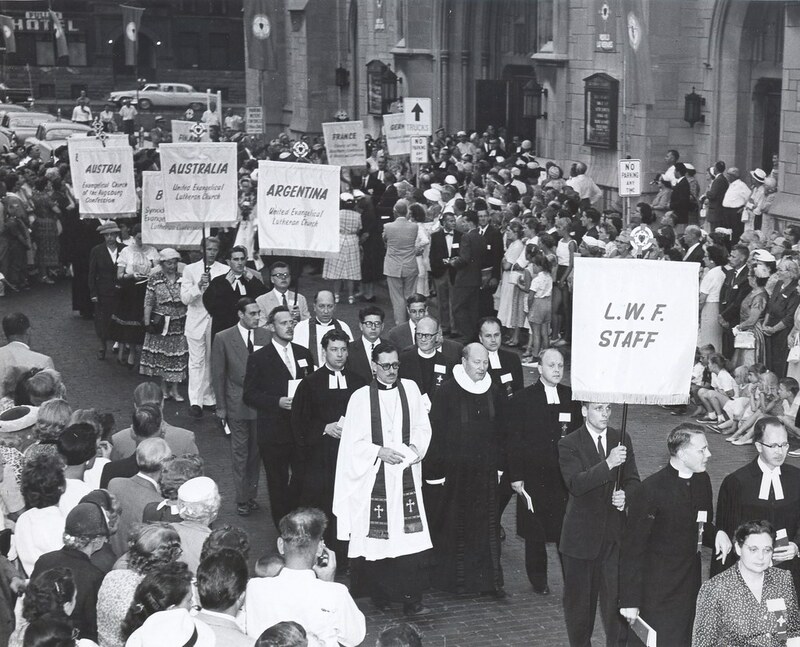 Although many post-war difficulties had been overcome, Lutherans and other Christians around the world still faced various. Nations in Africa struggled with political and socioeconomic issues in their attempt to overcome the burden of colonialism. Christianity in China and other Asian countries faced political opposition from communist and nationalist ideologies. The cold war kept European Lutherans divided. Bishop Lajos Ordass’ opening sermon was a moving testimony to spiritual freedom in Christ. Delegates discussed the struggles in their regions. Dr Franklin Clark Fry was elected president and Dr Carl Lund-Quist became the LWF General Secretary. The Assembly theme was the main agenda item, treated in 20 discussion groups. The special group led by Dr Fry formulated “theses” for acceptance by the Assembly and transmitted to all Lutherans around the world.